Andrew Morales locked arms with two McAllen High School bandmates in a silent auditorium Saturday, waiting for contest results just moments after the air had been filled with the festive sounds of trumpets and gritos at the 2019 Texas Association of Mariachi Educators state finals competition. The 18-year-old said his only hope at that moment was to finish his senior year in a memorable way. 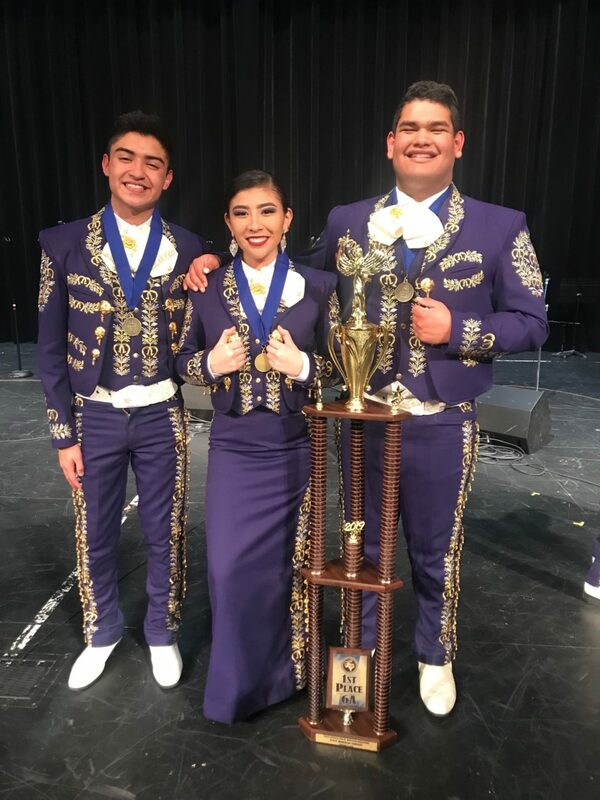 The ensemble, Mariachi de Oro, held true to its name as the group won the 6A state champions at the competition held in Grand Prairie, Texas, bringing gold medals back to the Rio Grande Valley. Over 50 bands were at the state event and around 20 competed in the 6A division. The Nikki Rowe High School mariachi ensemble also advanced to state this year and placed seventh in the 6A division. 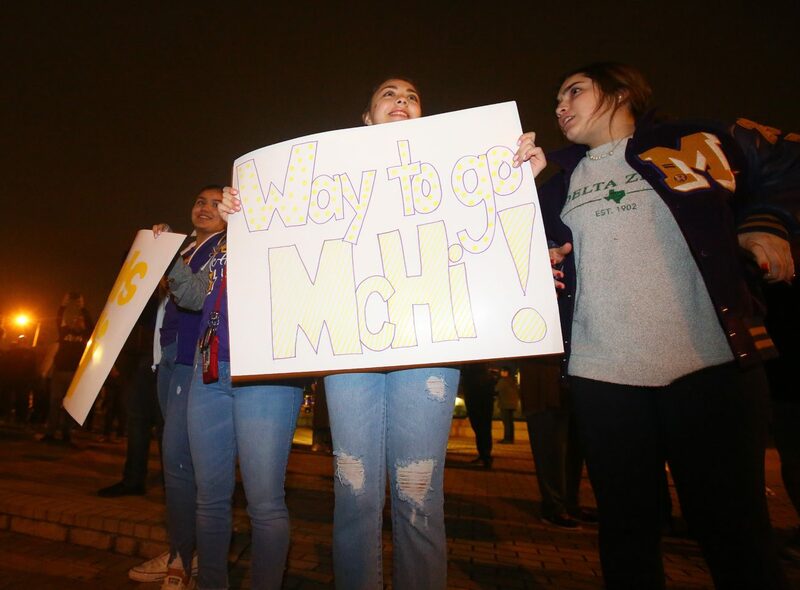 This is Mariachi de Oro’s fifth state championship in six years, and Morales said that it was the extra time practicing and support from his team that got them there. Morales, donning his purple traje de charro suit, said that on stage, he saw blocks of colors in the crowd, each representing an ensemble in their own suits. Sitting on the first row, among a sea of people in the large auditorium were McHi alumni, and through the dense audience, he was able to spot his parents. Morales is currently working on his audition music for his application to the music program at the University of North Texas, where he was recently accepted. 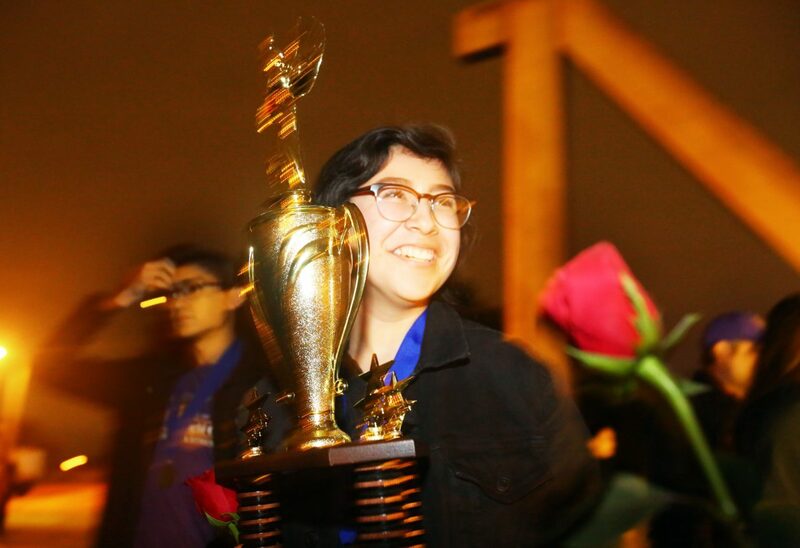 Mariachi member Analee Rodriguez held Morales’ hand while waiting for the results, and although there was pressure to end her senior year on a good note, she had an inkling that there’d be cause for celebration. Rodriguez has been a part of the ensemble since her freshman year and said that she is grateful for the constructive criticism that the mariachi director, Alex Treviño, has provided. In rehearsals, she remembers when he corrected her enunciation and taught her to open her mouth wider when she sang. He also trained her to play the violin “aggressively and correctly” while using the entire bow and how to stand for the most optimal strength to play. 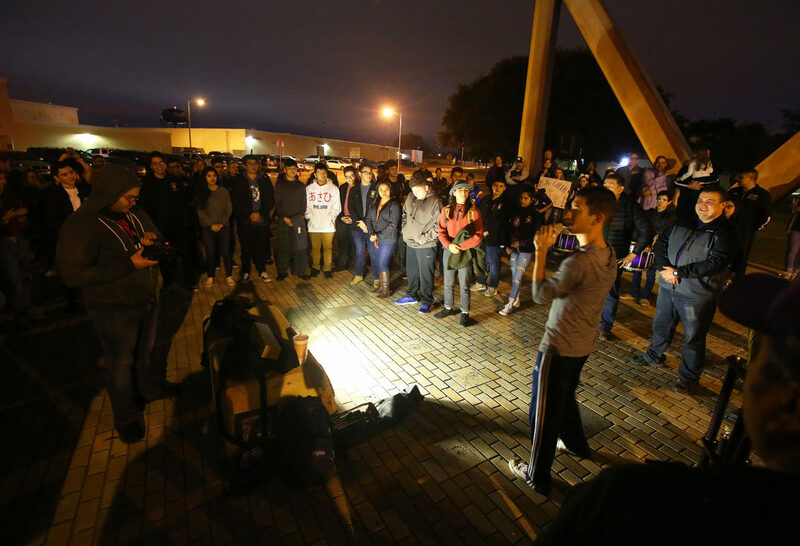 Rodriguez plans to pursue a degree in criminal justice at the University of San Antonio and become a customs agent. Treviño is a McHi alumni who also played for the University of Texas-Pan American, which is now the University of Texas Rio Grande Valley. Last year, the team placed fourth in state, breaking their golden streak. Treviño said that the perceived setback only fueled his students to work harder. He said that the most arduous part of this season was being short on players. This year, the band was composed of only 13 members, the smallest ensemble McHi has ever had. Most ensembles have around 18 musicians.